Who was Frederick Woolfall's Father? 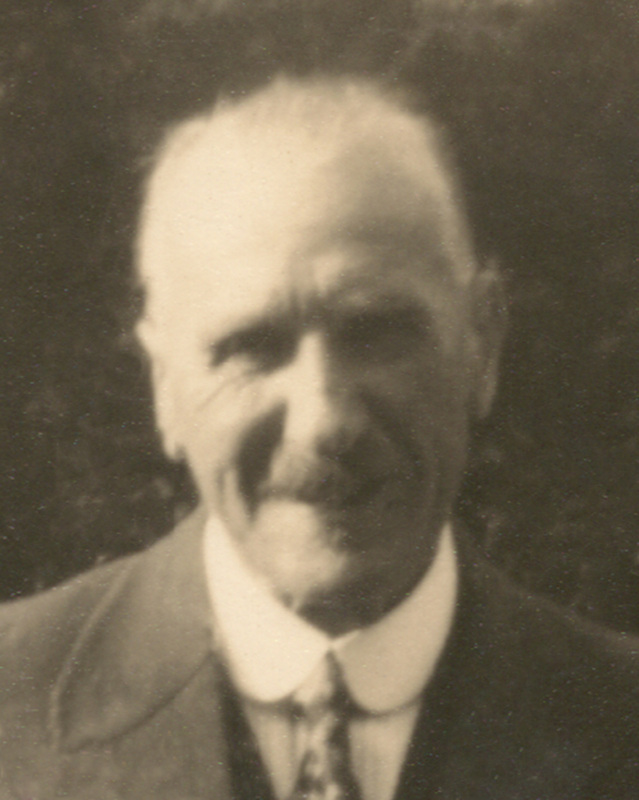 Frederick Woolfall (1865-1949) was my great grandfather. He was born and brought up in the Huyton area of Liverpool, Lancashire and was raised by 2 "aunts", Elizabeth and Alice Woolfall, while all were living in his grandparents' house (William Woolfall and Alice Hulme). He was born "out of wedlock" and one of his supposed aunts, Elizabeth Woolfall (1834-1911), was actually his mother. Elizabeth was 30 years old when Frederick was born. She never married and didn't have any other children. Her occupation on the various censuses (1861-1901) is shown as a charwoman or a laundress. See also my blog posting Frederick Woolfall and the Diamond Ring "Hush Money", which provides additional information on Fred's life and family. Fred was born on 11 Mar 1865 in Tarbock, a sub-district of Huyton, Liverpool, and his birth certificate shows his mother was Elizabeth Woolfall and his father is left blank. 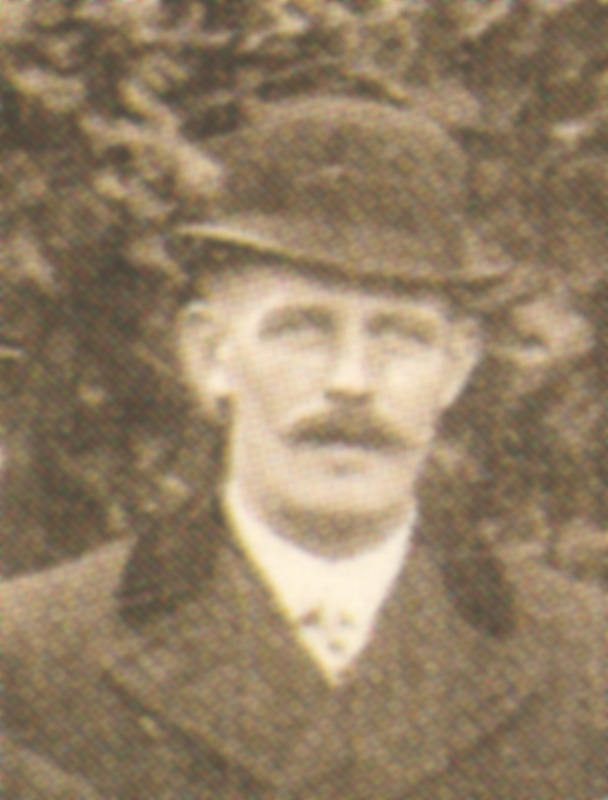 Ancestry.com has as a tentative baptism record (the British Isles Vital Records Index, taken from the Bishop's Transcripts – link only available with an Ancestry subscription) in Huyton on 23 Apr 1865 for a "Frederich Woolfall", with his father shown as "James Woolfall" and mother as Elizabeth, but the Parish records don't seem to exist for me to check for any other information (e.g., an address or godparents). Since there were no other individuals named anything similar to Frederick Woolfall in the Liverpool area at that time, and based on the timing of this baptism record (6 weeks after his birth), it seems likely that this was Fred's baptism record. Was "James Woolfall" a euphemism, or was someone named "James" the supposed father? At that time, effective contraception was not available and it was shameful to have an illegitimate child, so I can easily see why Elizabeth and her father,William Woolfall (1814-1893), may have "invented" a supposed father for Fred (maybe based on a hint of truth). On his marriage certificate, the sections for his father's details are also blank, like his birth certificate. The father of Frederick Woolfall is a total Brick Wall on my family tree and there doesn't seem to be a way from normal genealogical sources to be able to identify who he may have been. No male relatives who would have inherited Fred's Y-DNA are alive – unfortunately for my Y-DNA hunt, the majority of his descendants were girls rather than boys. So autosomal DNA is my only hope of ever identifying this branch on my family tree (see Genetic Genealogy), which may link me to other distant cousins from Fred Woolfall's father's line (descendants of his children, siblings, or cousins). Descendants of Fred's father would be my 3rd cousins (maybe one or more times "removed") and identifying shared DNA with 3rd and 4th cousins is a definite possibility with autosomal DNA testing. Now I've had my DNA tested at all the main DNA testing companies, Family Tree DNA, AncestryDNA, and 23andMe, I'm receiving a lot of DNA matches, so hopefully I may be able to find out something about this branch, which is the most recent of my brick walls. Odds are that I never will, but at least there's a chance! I would be much more pessimistic if genetic genealogy wasn't available. So if you have a DNA match with me and have a male ancestor who may have spent time in Tarbock/Huyton/Liverpool in Lancashire around mid-1864, I'd love to hear from you (Contact Me). He probably would have been about 25-40 years old at the time (i.e., born 1824-1839), based on Elizabeth being 30 when Fred was conceived. Sufficient time has passed such that this illegitimacy shouldn't be an embarrassment to anyone now.